Naturally we also have test certification for these products awarded by the Institut für Werkzeugmaschinen und Fabrikbetrieb, Berlin (Institute for Machine Tools and Factory Operation, Berlin). Alternatively we also offer our customers the option of pre-installed and sealed machine safety windows in stainless steel frames. 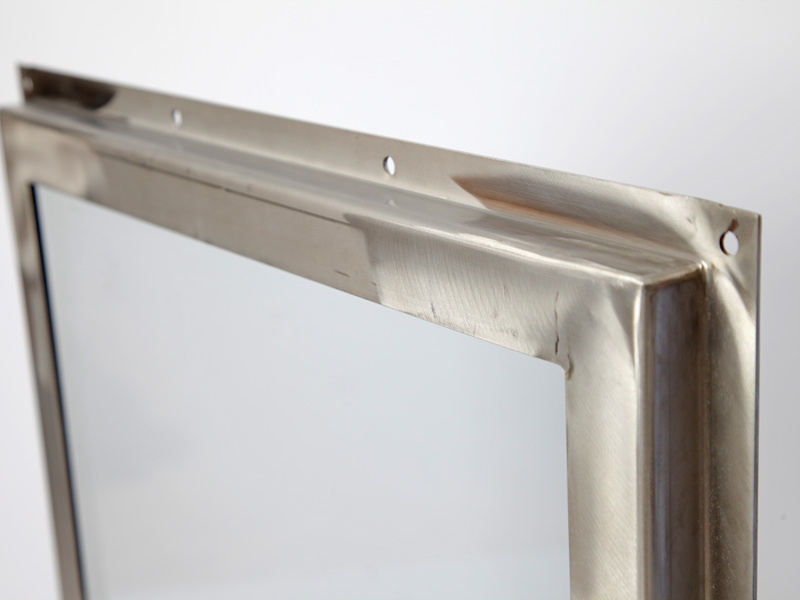 The frame geometry is tailored to your machine and is also available in small quantities. Numerous machine tool manufacturers in Germany and abroad have trust in our high quality products. Take advantage of the experience and know-how that we have gained with glass and polycarbonate in course of two and a half decades. Owing to our flexible production methods and our experience we are able to offer you the optimal solutions for your machine tools. We look forward to a dialogue with you.